Looking for a fun and easy activity for Back to School? 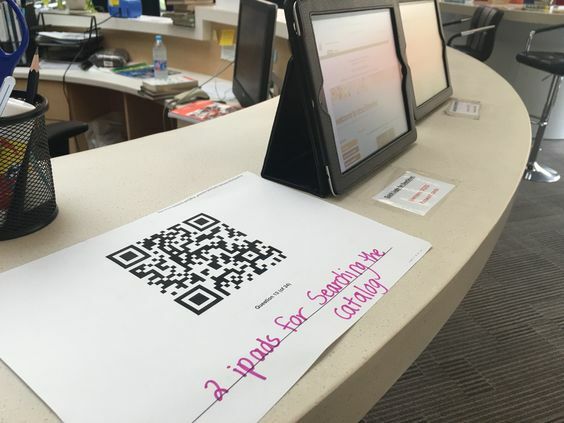 This library scavenger hunt allows students to independently explore the library while locating important items that they will need over and over throughout the school year. 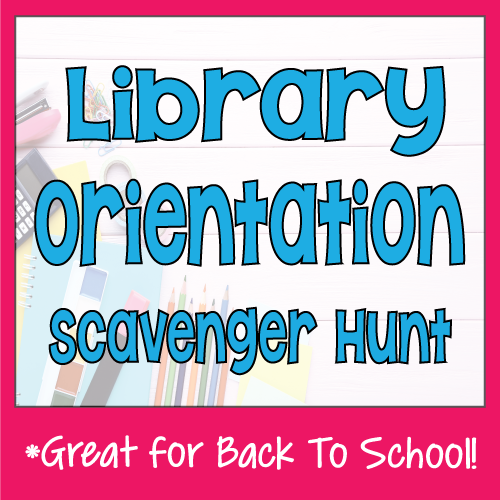 Objective: Students will explore the library and learn where important sections and items are located in the library. Duration: I allowed 30 minutes, which was just right. Some finished a little early, but everyone finished. Teams or individual? I always allow my students to choose to work alone, with a partner, or with team of three. Decide what your 24 items/locations will be. I included my card as an example, but you will need to change them to suit your library. Edit the card to reflect these locations. Use the link included in the kit to print the 24 QR codes. Write the location on each QR code. 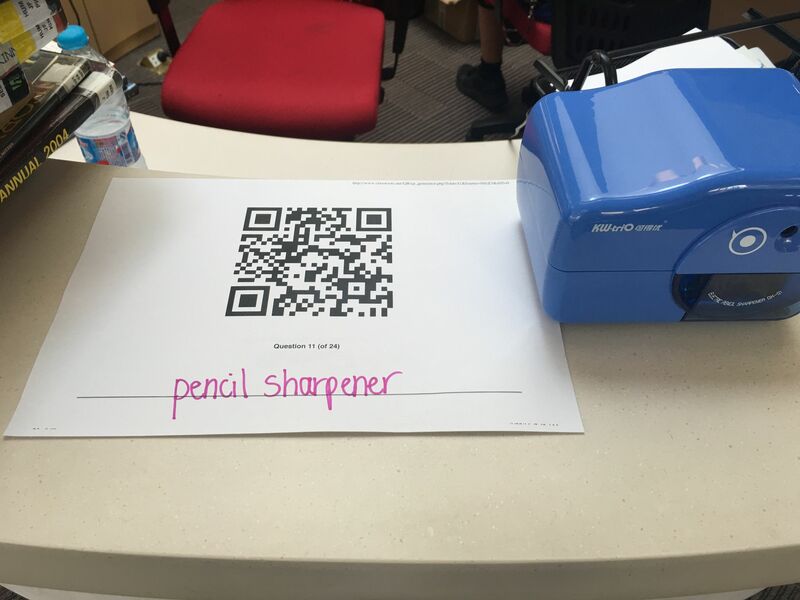 For example, if the students need to find the printer, write "printer" underneath the QR code. I did not do this with my first group, and some students asked, "Is this the printer code?" 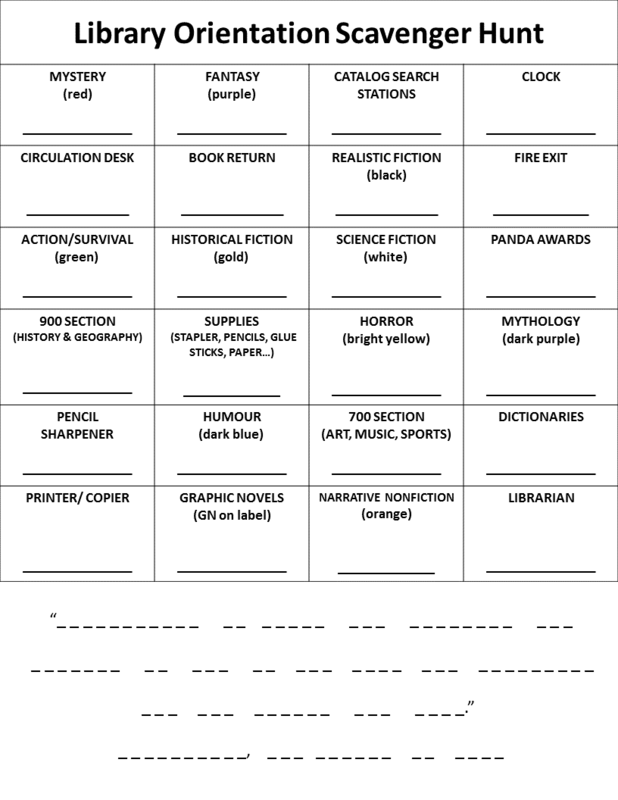 or if two codes were close together, "Which of these is the mystery section code?" One code fell on the floor, and it took me a minute to figure out where it went. After the first group, I wrote the locations on the codes. When I did the scavenger hunt with the next class, no one was confused about which code went with which square. 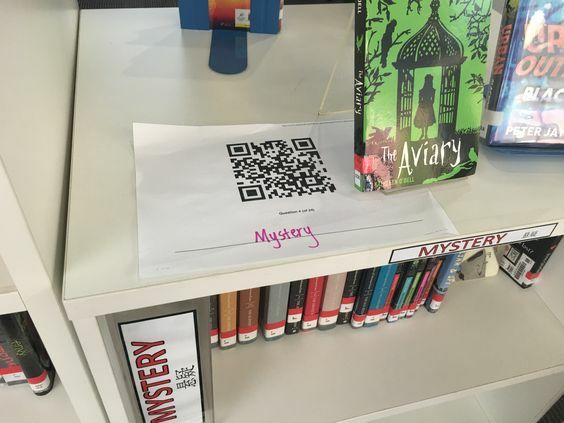 Place the QR codes around the library or other space you are using. I put mine in plain sight on top of each location, but you could hide them if you want to make it a bit more challenging. Walk through the scavenger hunt to make sure it works. Be sure to scan the QRs to make sure they work. After you have found all the words, see if you can solve the secret message. The blanks at the bottom reflect the exact number of letters in each word. Walk around and help any student having trouble. My students did very well with this activity and did not need much help from me. For my ESL class, I just had the students find the things on the list and check them off. They did not do the QR codes or the secret message at all. They did great! When scanned, each QR code links to one secret word. 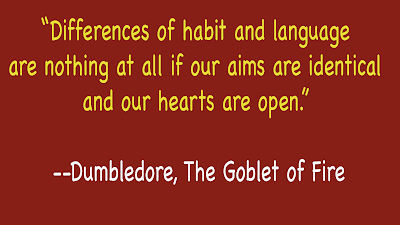 The word is a small part of a longer phrase, a quotation from Harry Potter and The Goblet of Fire. Access the QR codes for this activity here. This sounded like so much fun so I spent the morning last week modifying it (very little) for our school and making sure it worked on our Chromebooks. Then the administration told me they didn't want the camera available to students, and I can't see how to disable the camera function except for the ScanQR app, so it was all for naught. I even called Lenovo, the company that sold us thousands of Chromebooks. After keeping me on the line for over an hour, they said they couldn't tell me anything because my Chromebook was out of warranty! I asked if they could just tell me IF it was possible to disable the camera function for everything but the app, not HOW to do it. They would not tell me! So, I am so disappointed. I know this would have been fun for my 6th grade students, and it worked like a charm. Thanks so much for letting us try it out. Awww...that is such a bummer that you weren't able to use it! I've never heard of the students not being able to use the camera--I didn't even know it was possible to disable the camera. Maybe you could just put the words of the quotation in your scavenger hunt locations? I didn't use the QR codes with my ESL classes; they just found the location and checked it off the scavenger hunt. They still had fun and learned where to find things in the library. Wow, thanks for saying that, Linda! You just made my whole week! I love this idea and I purchased the TPT instructions, but I can't figure out how to edit the questions and the grid. Any ideas? I just responded through TPT. When you open the grid in MS Word, you should see a box at the top (mine is yellow) that says something like "Protected View--Enable Editing." If you click that box, you will be able to edit. Alternately, you can do FILE-SAVE AS and save the grid on your computer. This will enable you to edit.